Experts AVAILABLE to take your call! Semicricle metal window wells by WindowWellExperts.com. Durable one-piece window wells in a semicircular shape. 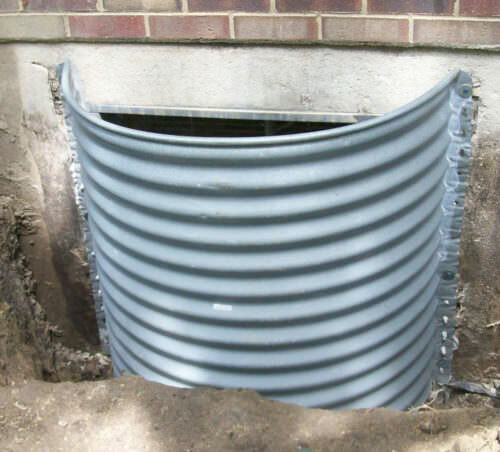 12", 18", 24", 30", 36", 48", 60", 72"
12", 18", 24", 30", 36", 48"
Looking for a semicircle metal window well? We offer a variety of sizes and depths to meet any project need. We ship directly to you, work with both homeowners and contracts, and have no minimum quantities! Our Semicircle window wells are made of galvanized steel that won’t bend under pressure. Please call us seven days a week for assistance. We are well versed in sizing window wells to your particular needs. Contact us at 888-650-WELL (9355). Just like our Window Well Covers our WWE brand window wells are built to last and add value to your home. We ship our wells directly to your work site! Our window wells comes in a variety of shapes and sizes so you can get the perfect fit without compromise. Please call us seven days a week for assistance. We are the experts in sizing window wells to your particular needs. Contact us at 888-650-WELL (9355). A free consultation - All your questions answered!